SHARES in Sibanye-Stillwater gained about a quarter since its interim results announcement on August 23, a month after saying it would raise $500m via a streaming deal in which it would sell gold from its US platinum group metal (PGM) operations, and an initial 4.5% of its palladium, to Wheaton International. According to Goldman Sachs, the company’s shares have more to travel. “Despite this rally, we still believe that Sibanye is materially undervalued, trading at a significant discount to PGM peers and broadly in line with gold peers,” it said in a note today. The improvement in Sibanye-Stillwater’s balance sheet, a likely continued deleveraging as the firm became cash positive next year, and a strong commodity mix were factors for believing the discount to its PGM peers was unwarranted, said Goldman Sachs. Sibanye-Stillwater said on September 4 that it would retire $400m of its higher interest, medium and long term debt. This is equal to about 31% of the $1.5bn raised to part finance the $2.2bn purchase of Stillwater Mining during 2017. The debt was subsequently repurchased and retired through a tender offer – a development that reduces annual interest on the debt by $26m. “The only remaining near-term debt is local South African debt, which we we do not believe will be challenging to refinance given historical precedents for Sibanye and similar companies,” said Goldman Sachs. It added that Sibanye-Stillwater was over the majority of its heavy capital spend having completed the expansion of the Blitz project at Stillwater. It has forecast free cash flow from next year “… leading to deleveraging”. 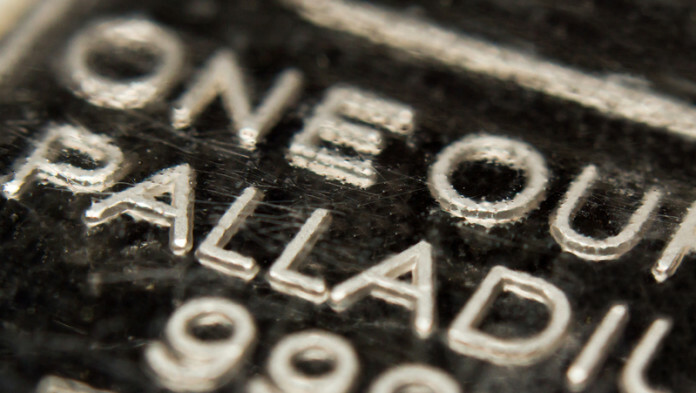 As the Stillwater mine was also more exposed to the palladium market, Sibanye-Stillwater was likely to benefit more from palladium’s dollar strength. Palladium and outperformed platinum by 16% since the beginning of the third quarter. From a South African perspective, the recent rand/dollar weakness, which has taken the currency down 7% since the beginning of the third quarter, means that any weakness in the South African PGM basket price has been more than offset. Speaking to Miningmx in June about the firm’s medium-term prospects, Sibanye-Stillwater CEO, Neal Froneman, said: “Twelve months from now, we [will be] significantly deleveraged. A picture I can envisage is something like our net debt to earnings before interest, tax, depreciation and amortisation (EBITDA) sitting at 1.5x”. Goldman Sachs forecast net debt to EBITDA of 2.2x as of the end of the 2018 financial year, decreasing to some 1.4x by the end of Sibanye-Stillwater’s 2019 financial year. “The cash flow from our operations are solid enough to reintroduce the dividend and we are then embarking upon the next part of our strategy while we are integrating Lonmin and realising the benefits from that. Next part of the strategy? I do think we need to grow our gold business, and that will be the primary focus,” said Froneman. The risk to Sibanye-Stillwater is its South African gold operations which have under-performed. The gold mines contributed R1bn to group adjusted EBITDA in the first half of the firm’s financial year, a hefty decline from the R2.3bn in the six months. This was based on production of about 600,000 ounces at an all-in sustaining cost of R520,000/kg or $1,315 per oz. Glad to see Goldman is on board with SBGL. Looking forward to get my dividends next year after a horrifying H1-2018 performance. Not too late to buy more, should be $4.50 by xmas 2018.